including dipeptidyl peptidase IV (DPP-IV), lactase and alpha-galactosidase that assist in the proper digestion of proteins, fats, starch, dairy, and gluten. 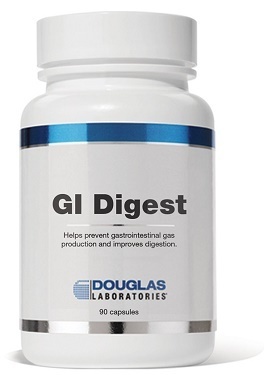 Formulated with multiple proteases, lipases, and carbohydrases from non-animal sources, GI Digest provides enzymatic activity across a broad pH range that ensures the enzymes are active throughout the stomach and through the small intestine. The pancreas supplies the major digestive enzymes that catalyze the breakdown of starches (carbohydrates), proteins, and fats, so that the breakdown products can be absorbed in the upper small intestine. Amylase isthe major carbohydrate-digesting enzyme. Lipases break down triglycerides into monoglycerides and free fattyacids, which are efficiently absorbed in the upper small intestine. Protein digestion is initiated in the stomach by pepsin and hydrochloric acid, which denature and break large proteins down to smaller polypeptides. In the small intestine, proteases break down these polypeptides into free amino acids, and di- and tripeptides, which are directly absorbed by the intestinal mucosa. Digest provides active enzymes from non-animal derived sources that are specific for fats, carbohydrates and proteins, similar in effectiveness to pancreas-derived digestive enzymes. The enzymes in GI Digest are made through a microbial fermentation process with Aspergillus and Rhizopus species. GI Digest provides a unique proprietary blend of proteases with DPP-IV (dipeptidyl peptidase IV) enzyme activity targeting proline bonds. Gluten contains numerous proline-rich peptides that the human body has difficulty breaking down. In vitro studies show DPP-IV aids in the breakdown of gluten and gliadin oligopeptides that are resistant to digestion by the action of gastric and pancreatic enzymes. In conjunction with a gluten-restricted diet, DPP-IV may help minimize discomfort experienced by those who have difficulty digesting gluten. Lactase is an enzyme specific to milk sugar (lactose). Intolerance to lactose in dairy is a common condition that causes gastrointestinal symptoms due to the lack of lactase enzyme. GI Digest provides a unique mixture of protease enzymes and the lactase enzyme to assist digestion of multiple constituents of milk and dairy products. Alpha-galactosidase is a carbohydrase enzyme that breaks down certain carbohydrates found in grains, legumes, and cruciferous vegetables, often associated with production of flatulence. Acid maltase is an enzyme normally found in lysozymes that catalyzes the hydrolysis of maltose and other oligosaccharides to yield glucose. GI Digest is indicated for digestive support of foods that contain protein, fat, starch, dairy and/or gluten. BioCore® Optimum Complete and DPP-IV are registered trademarks of National Enzyme Company. 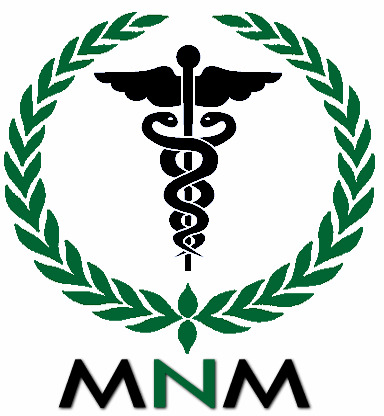 As a dietary supplement, take 1 capsule with each meal, or as directed by your health care professional. CAUTION: If pregnant or lactating, consult your healthcare provider prior to use.